WANT MORE...YOU HAVE FOUND YOUR ARTIST! CLICK HERE TO VISIT OUR WEBSITE AND VIEW WHAT ROCKS OUR WORLD! Friends from around the World! A Big thanks to one of my coolest Bride and Grooms for making this awesome blog update! 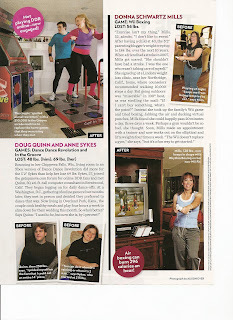 We are going skiing together soon :)I have to brag on Ann and Doug they were in people magazine recently and here is the article!!! Nominated Kansas City's BEST Photographer! Thank you for visiting us and feel free to leave comments or just say hi! We totally love to hear from everyone! Remember... you have the power to make it a fabulous day! 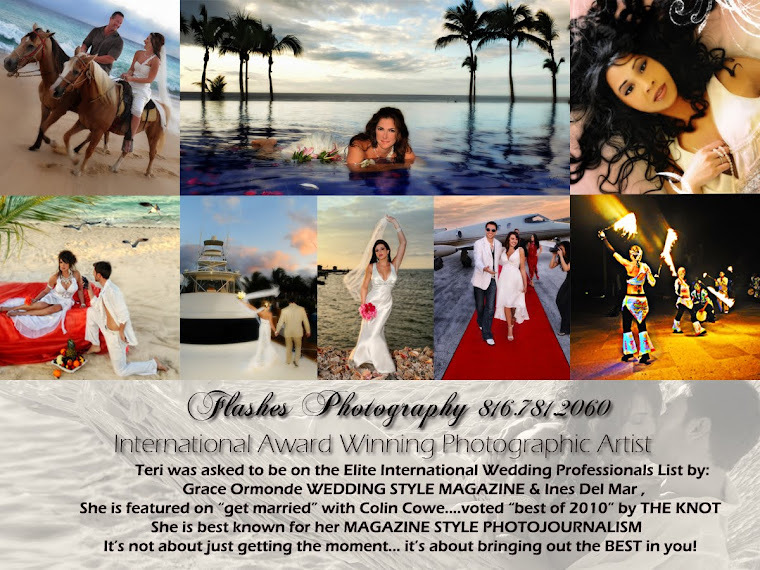 Teri is listed as one of the Top Wedding Professionals in the US by Grace Ormonde Wedding Style Magazine! She is the ONLY Kansas City Photographer rated 5 stars!! I feel blessed to be able to document life as I see it. I enjoy people and really like the simple things in life. My kids are amazing and so much fun to be around. I dig hearing about thier day,thier thoughts...and plans for the future..even if it is just the weekend. I like playing basketball with my son and his friends...they make me laugh so hard actually Joey has the best personality ..he is so funny. Sometimes I can just set and stare at my daughter, she is so beautiful to me... I totally LOVE to work out and cook. I love cooking and I Love riding horses! My father trained horses when I was alittle girl and they have always been in my life. I am thankful to God for my talent and I do pray before every wedding :) I am always in a good mood and cheeful- is there anyother way to be?